An economic powerhouse and a cultural centre, Seoul is a true megacity. As a tourist destination, it has taken Seoul time to catch up to cities like Beijing and Tokyo, but its heady blend of historic pagodas and futuristic skyscrapers is attracting more visitors than ever. Seoul boasts possibly the best subway system in the world and such efficient organisation that travellers can find themselves out of the airport and on their way to the city minutes after touchdown. Seoul is fast-paced and a feast for the senses. With 24-hour restaurants, serving cheap, delicious Korean dishes, and shops which stay open all night, Seoul can rival New York for the title of 'City That Never Sleeps'. North of the river, the Ganbuk district offers most of the historical sites, including the Confucian Shrine and the Five Grand Palaces, as well as plenty of cultural institutions, such as the Museum of Korea. To the South, the Gangnam district is exhilarating and vibrant. Bursting with skyscrapers and neon lights, this is the beating heart of Seoul. Not only a business and economic hub, Gangnam has plenty on offer for visitors, with superb nightlife and some of the best shopping in East Asia. Discover Asia with Lufthansa. 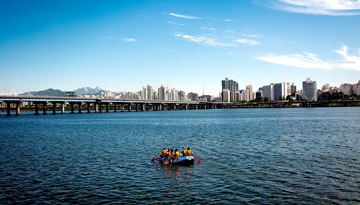 Book now Seoul from London at just £489, include return. 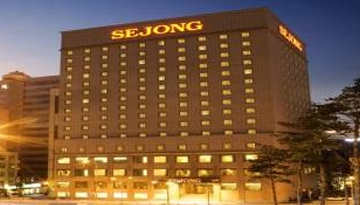 Sejong Hotel is easy access to shop in local area & 4-star comfortable beds to stay. 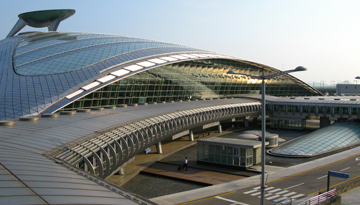 Fly from Luton - Seoul & Stay for 6 nights with 5 star accommodation. Room Only.